Should I learn guitar or piano? I am really frustrated, because I want to play both but my mum wants me to play the piano and I sometimes think that guitar is much more fun. Why don’t you learn both. My grandson, who is 10 years old, comes home from school every day for lunch. They have a 35 minute break and he lives about 3 minutes from the school. After he wolfs down his lunch we do a quick 10 minute guitar lesson on Tuesdays and a 10 minute trumpet lesson on Thursdays. He doesn’t practice much because he is involved in so many other activities. But he is still making really good progress on both. Not everybody would be prepared to fit themselves into a schedule like that. But I can assure you, if you spent even 10 minutes a day working on the instruments you are interested in you would make fantastic progress. The other thing is you need to hook yourself up with someone who is into “speed teaching” like this. I don’t think most formal teachers are because they have to justify spending a half hour to an hour “teaching”. It would be prohibitively expensive to take lessons from two teachers anyway. Find some free online introductory lessons for these two instruments or hook up with someone who can show you some practical stuff . All it takes is a couple minutes to show you a new move, new chord, etc. and then you have something to work on. There a few things about this response I want to emphasize. 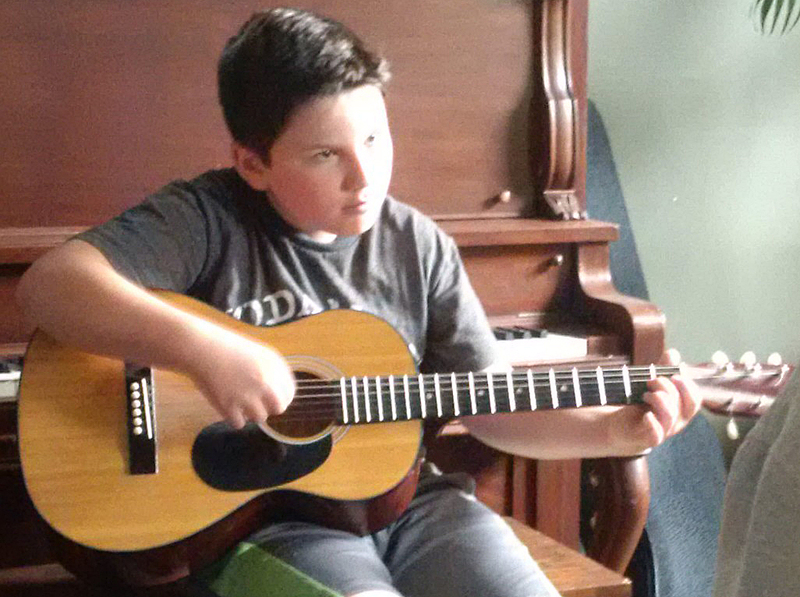 First, Jack – my grandson, shown in the photo used in this post – has taken piano lessons for about 4 years. So he knows a fair bit of basic music theory: notes, keys, scales…and he can read music. All of these help when learning any type of instrument. Even if, like with the guitar, you usually are not playing from written music. Learning a bit of music theory, and learning how to read music, is not difficult. 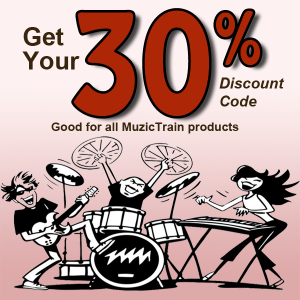 You can do it while you learn and practice your instrument of choice. And it will be knowledge that will stay with you and underpin your musical adventures for the rest of your life. Second, Jack has three older siblings, all of whom have studied piano and can play multiple instruments. His oldest sister was at one time taking piano and violin lessons while learning to play the saxophone in the school band. She and her younger sister (16 and 14) both play the ukulele and a bit of guitar, and have sung together many times in school assemblies and at family gatherings. His older brother loves to improvise on the piano, and is a natural drummer. This environment, and the support and encouragement of his parents, obviously give someone like Jack a huge advantage when it comes to learning music. And, as Jack and his siblings demonstrate, there is no conflict between different instruments. In fact they compliment each other. Put the time and effort into learning an instrument or two and you can’t help be make progress. With the right attitude and using the right resources you’ll be surprised how much you can Teach Yourself. About the author: Rick Hendershot is the originator of MuzicTrain, and the publisher of this blog.